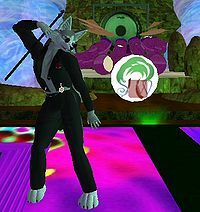 Several furry island sims in Second Life have changed paws. Ron Overdrive's Serenity Woods is now owned by Mako Minogue and Kerwin Newall, while Alynna Vixen's Kitsune sim is being purchased by Snowmeow Soothsayer and will likely be moving to a new location in the Valley Estates. Some FurNation Worlds sims have also been sold recently.